Firstly, you need to understand your employees, do this by getting to know them to understand what really motivates them, and how they like to work, you can do this by using various models and coaching. We will be unleashing some tips on how you can give constructive and specific feedback to your employees. After you have done the basics of getting to know the individual, knowing what motivates them and understanding the situation that has led to you giving them specific, constructive feedback, its worthwhile having a 1 to 1 privately, away from other members of staff, this will leave the employee feeling that what is discussed is confidential and that you are valuing their privacy. Tip: Explain to the member of staff that the conversation is confidential and will not leave the room and it that is an informal conversation. Start with specific facts and occurrences, you need to make sure this is not ‘hear say’ and these are facts from your own experience and knowledge, otherwise this will not be specific and constructive feedback, it will leave the employee feeling targeted. Your feedback needs to be delivered in a timely manner, this is important because you need to be tackling the situation and offering support to the employee. Tip: Focus on behaviours that they are able to develop and change rather than personality traits. It is important to have a key focus in the meeting and not to bring up old facts, unless it is necessary to the situation, such as reoccurring behaviours, which allows you to display specific facts. Another reason it is important to have a key focus, so that the meeting is structured with a plan, so it is beneficial to their self-development and considerate to their feelings. Tip: If you are a skilled/qualified coach or mentor this is a great tool to use when giving constructuve feedback, because you are able to ask those skilled questions to encourage reflection and self-development. 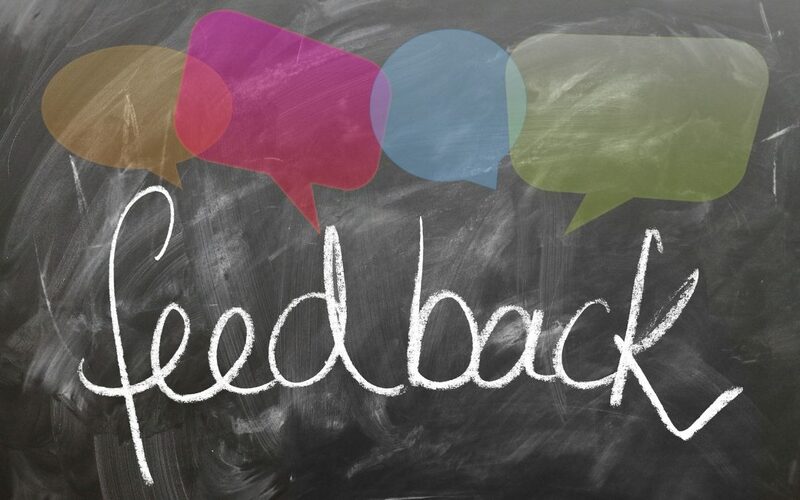 Try using open questions such as how does this feedback make you feel?